Great to see graduates of our fly your own drone for foresters programme using these new effective tools out there in the forest. Acacia Farmery completed our CAA Part 101 drone operators training and earned her “CAA Wings Badge” certification. 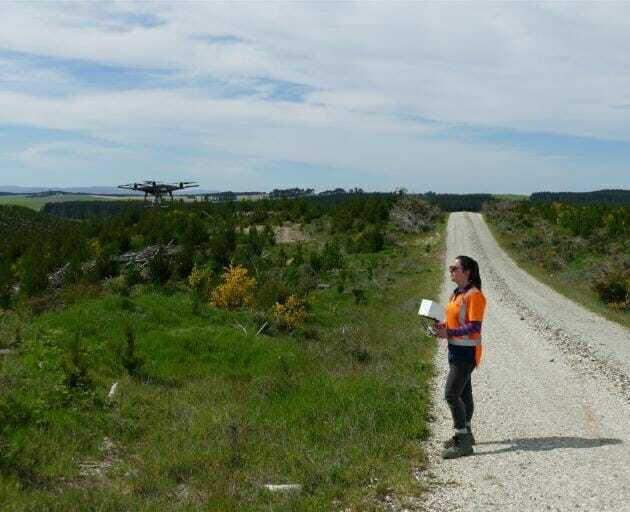 Acacia Farmery readies her drone with its camera to fly over the recently planted stand of pines at Pebbly Hill Forest. Photos: Ken Muir, Otago Daily Post. Rayonier also purchased Acacia’s drone through our “Fieldworker Fly Your Own Drone” program. 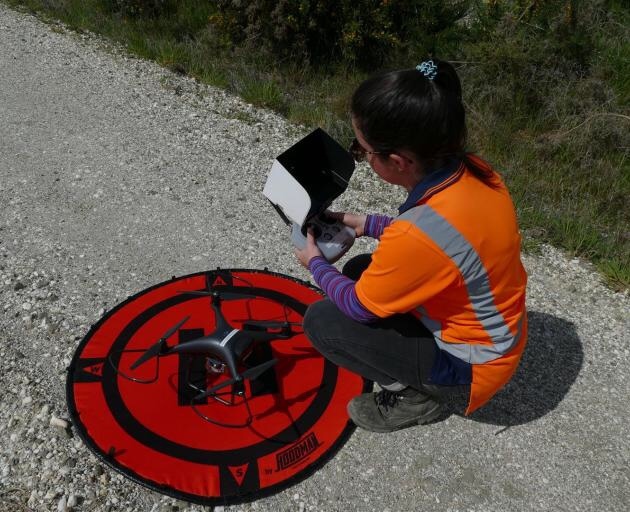 This enables foresters to get the right drone, equipment and software tools to do their job in a safe and productive manner, while also getting a full range of maintenance and pre and post flight guides. Fly your own drone today with our Fieldworker Ready Kit. Its also sets a network of users to interact with each other to grow and promote best practice use across the industry from contractors, to forestry company staff. If you want to follow in her footsteps contact out UAV Drone team to get on the next course. Interpine have partnered with Massey University School of Aviation to provide the courses and they are currently being run every 3 months.